Analysis of more than 200 newly discovered RNA viruses confirms that they co-evolved with their vertebrate hosts over millions of years. Researchers have discovered more than 200 previously unknown viruses in a category whose members cause illnesses such as influenza and haemorrhagic fevers. The scientists also traced the origins of these RNA viruses back hundreds of millions of years to when most modern animals started to appear. The findings1, published online in Nature on 4 April, could help scientists to identify the RNA viruses that might infect people in the future, says Mya Breitbart, an environmental virologist at the University of South Florida in St Petersburg. Since RNA viruses cause a wide range of diseases in people and livestock, researchers have mostly studied the ones that infect mammals and birds. But in an attempt to understand the evolution of RNA viruses, researchers have started to survey other vertebrate classes including fishes, amphibians and reptiles. The emerging view, says Edward Holmes, an evolutionary virologist at the University of Sydney in Australia and a study co-author, is that RNA viruses are much more abundant and widespread than previously thought. And with so many RNA viruses out there, estimating which could infect people would be difficult, he says. 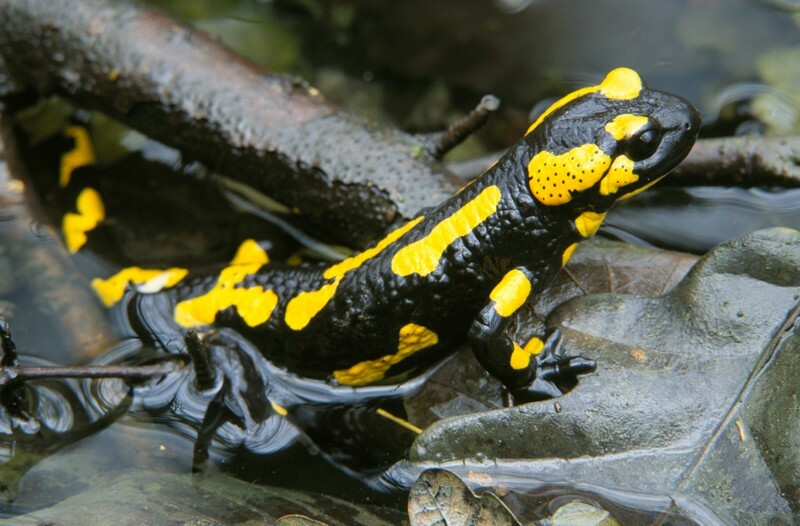 Previous studies have found RNA viruses in newts and salamanders, but scientists didn’t know much about the ones that infected other amphibians, reptiles and fish. So Holmes and his colleagues looked at nearly 190 creatures in other vertebrate classes — from jawless fish such as lampreys, which have changed little from their evolutionary ancestors, to reptiles such as turtles. By analysing the RNA extracted from the animals’ guts, livers, lungs or gills, the team discovered 214 RNA viruses that had never been described before. Most belong to virus families known to infect birds and mammals. For example, some fish harbour viruses that are related to Ebola, which causes a deadly disease in primates, including people. “That’s surprising,” says Holmes, but it doesn’t mean that those fish viruses pose a threat to human health. People and fish are so different that viruses that infect one group would not able to infect the other, he says. This is because most RNA viruses have evolved with their hosts for millions of years. When the researchers built an evolutionary tree of the new-found RNA viruses and compared it to that of their vertebrate hosts, the two histories mirrored each other. The team concluded that as vertebrates moved from the sea to land, so did their microscopic hitchhikers: RNA viruses that infect people today probably evolved from viruses that infected our vertebrate ancestors 500 million years ago. Scientists suspected that RNA viruses were ancient because they are found in single-celled organisms such as amoebas2 and in invertebrates such as insects and worms3. But this study shows it “very convincingly”, says Eric Delwart, a virologist at the Blood Systems Research Institute in San Francisco, California. This study just scratches the surface of the sheer number and variety of viruses that are out there, says lead study author Yong-Zhen Zhang, a virologist at the Chinese Center for Disease Control and Prevention in Beijing. His team collected samples mainly from China, and looked for new RNA viruses by comparing the genetic sequences with those of known viruses. Viruses whose RNA sequence has no similarity to any other virus are invisible to this analysis, Zhang says. And vertebrates dwelling elsewhere in the world might host other RNA viruses that have yet to be discovered. See the related News & Views article, ‘Backbone of RNA viruses uncovered’. Shi, M. et al. Nature https://doi.org/10.1038/s41586-018-0012-7 (2018). Koonin, E. V. et al. Nature Rev. Microbiol 6, 925–939 (2008). Shi, M. et al. Nature 540, 539–543 (2016).